This winter I was getting bored of all my foundations/bb creams so after much research I decided on this one from Tarte. The coverage on this is sheer but buildable perfect for everyday use. I’ve used this for a couple days now and I would have to say that this is definitely going to be a repurchase. It glides onto the skin leaving an airbrushed finish. Along with getting a new bb cream I got a brand new concealer also from Tarte. Normally I’m scared of concealers that say clay on them because it means that they’re super heavy on the skin but this one is completely opposite. It feels lightweight while giving you sheer to medium coverage. If you prefer a more fuller coverage look I would recommend patting this into the skin or if your like me and prefer light coverage use a brush to blend this in. Either way it’s a winner in my book. This powder was a total impulse purchase. I’ve heard Andrea from RosyChicc talk about this powder on her blog before so when I saw it I just took a plunge and got it. There is a loose version of this powder but I always tend to spill loose powders so I went with the pressed version. 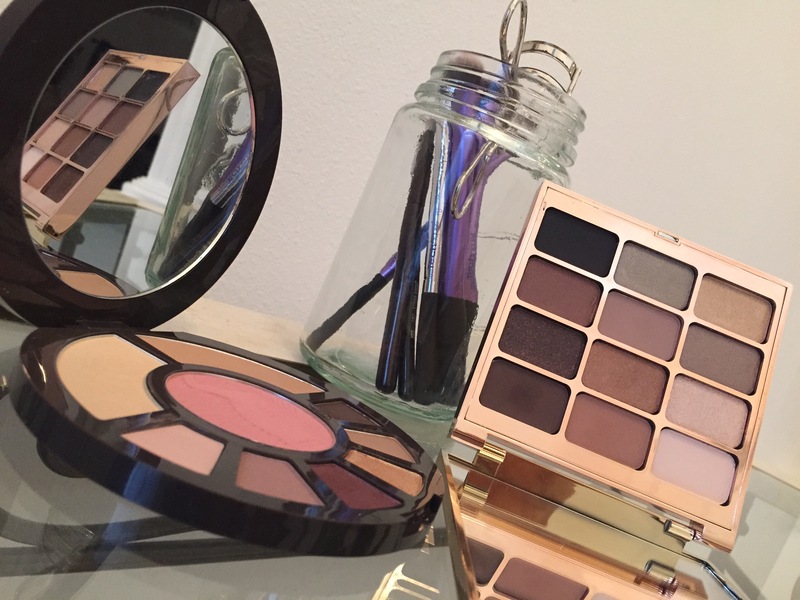 The Z Palettes are a must have in the beauty community if you love to buy products in pan form. My only problem was that I didn’t like any of the colors or prints that they came in but when I saw that Sephora came out with a black and white one I jumped on it. I picked up the bigger size so I wouldn’t run out of room. My last product of this haul is again from Tarte and probably the one I’m most excited for. It’s Tartes brand new all matte eyeshadow palette. Of course this palette has neutral colors in it because if it was colorful then it wouldn’t be me. 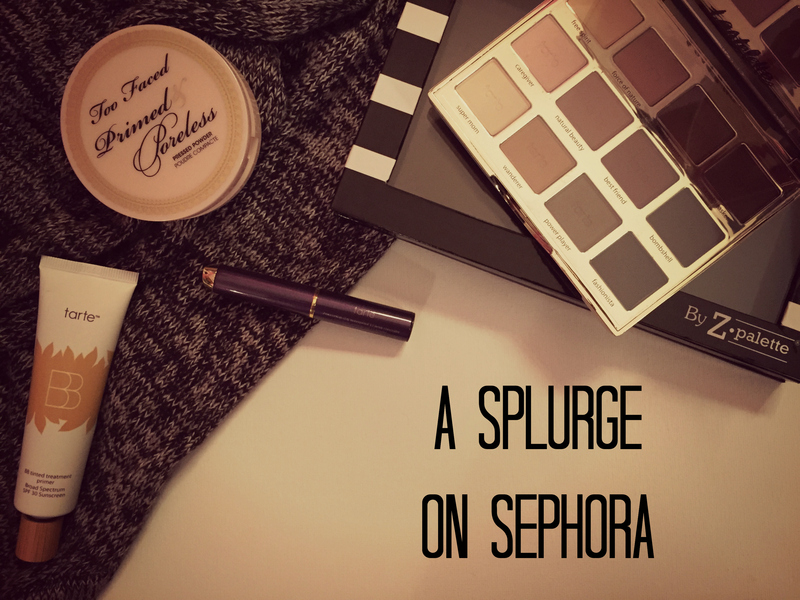 I hope you guys enjoyed taking a peek at what I got at Sephora. Thank you so much for reading this and I will talk to you soon!! Hello everyone!! 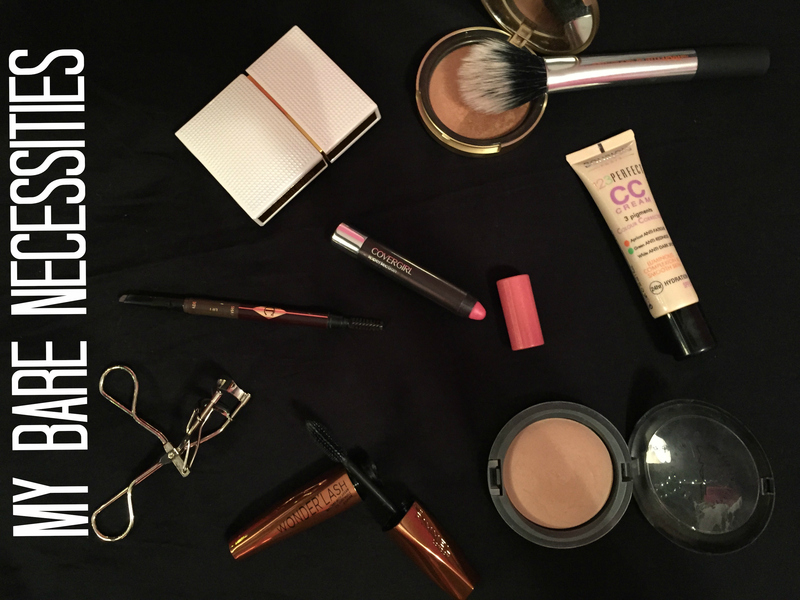 So today I’m going to be sharing with you My Bare Necessities. Don’t get me wrong there are a lot of no makeup days but these are the products I go for on an everyday basis. To even out my skin I love to grab a CC Cream and at the moment my favorite has been the Bourjois 123 Perfect CC Cream. It gives you natural coverage with a soft glow on the skin. Perfect for cold winter months. After I even out my skin tone I dust the MAC Mineralize Skinfinish Natural all over my face to set my makeup. The best thing about this powder is that you can use it alone as a powder foundation or use it set your face makeup. Then to add some color back to your skin I’ve been reaching for the Too Faced Sun Bunny Natural Bronzer. My favorite thing about this bronzer is that its not completely matte so it won’t make your face appear flat. Moving onto eyes and brows. On an everyday basis I tend not to fuss around with eyeshadow or liner and go straight to mascara. In my makeup bag at the moment has been the Rimmel Wonder’Lash Mascara which is infused with argan oil. This mascara blew my socks off (literally). It adds loads of volume to your lashes without getting clumpy and to add even more volume you can give your lashes a curl. After I curl my lashes and apply mascara I fill in my eyebrows with the Charlotte Tilbury Brow Lift. This pencil has quickly become my favorite brow product of 2014. During the winter time I love wearing a light baby pink lip color. My favorite has been the Covergirl Jumbo Gloss Balm: 210. It’s hydrating on the lips which is perfect for the cold winter months. I hope you guys enjoyed seeing all of my bare necessities (and yes I keep singing the jungle book song too). If I’m missing out on one of your necessities leave me a comment down below and I might have to go pick it up. Thank u so much for reading this blog post and I will talk to you soon! Hello everyone!! There’s no doubt that I love anything makeup related but when it comes to neutral eyeshadow palettes my collection starts turning into an obsession. So today I wanted to share My Neutral Palette Collection with you guys and hopefully you can feel my pain. In total I have 15 neutral eyeshadow palettes ranging from drugstore to high end. 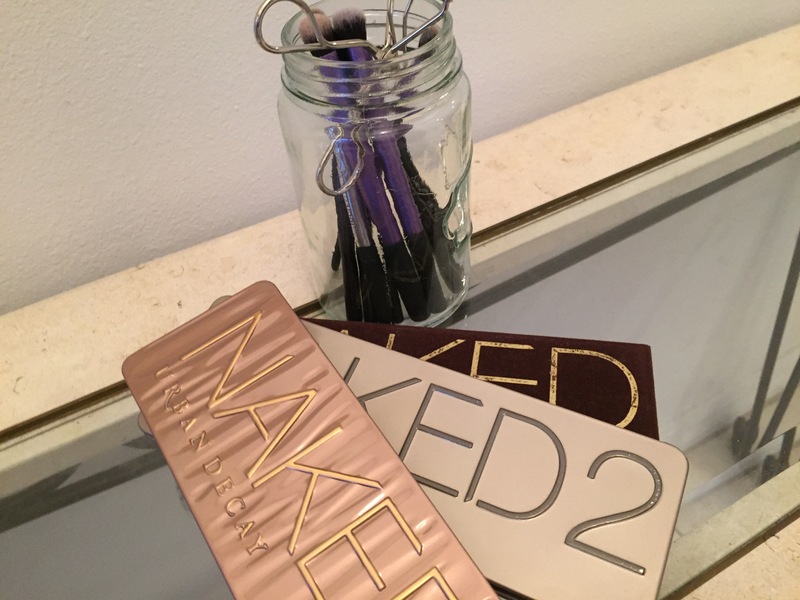 The Urban Decay Naked Palettes are a classic in the beauty community. 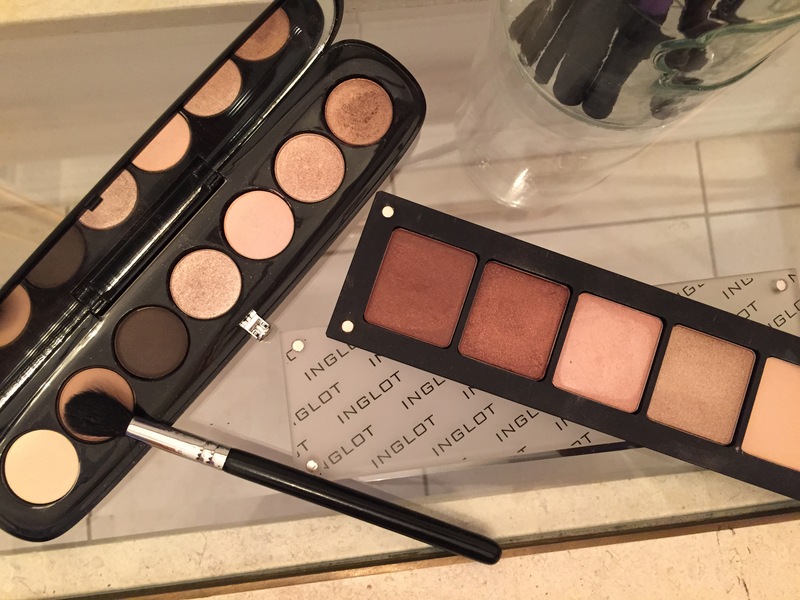 If your a beauty lover you have to have at least one of these palettes in your collection. My favorite out of all 3 is the original one. You can create everyday looks to a night out look. 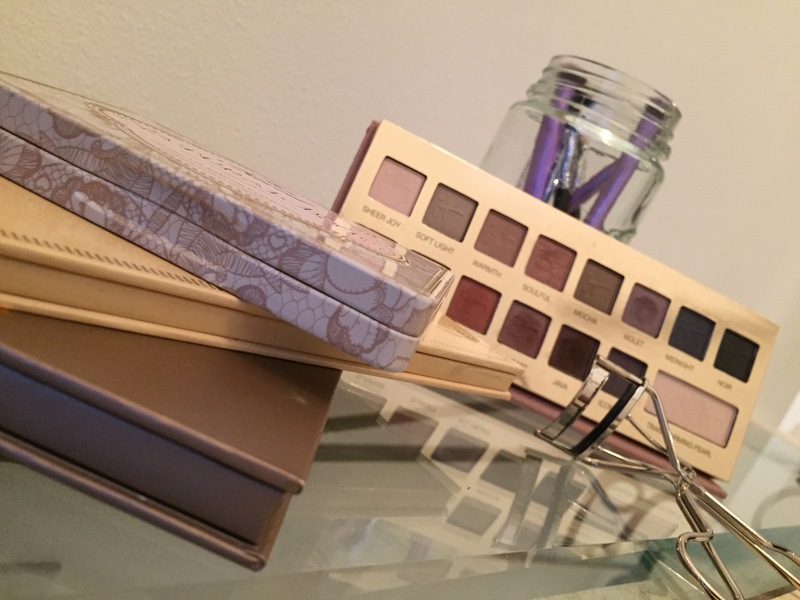 If your obsessed with rose-toned neutrals then I would lean towards the 3rd palette or you can go for all 3 like me. 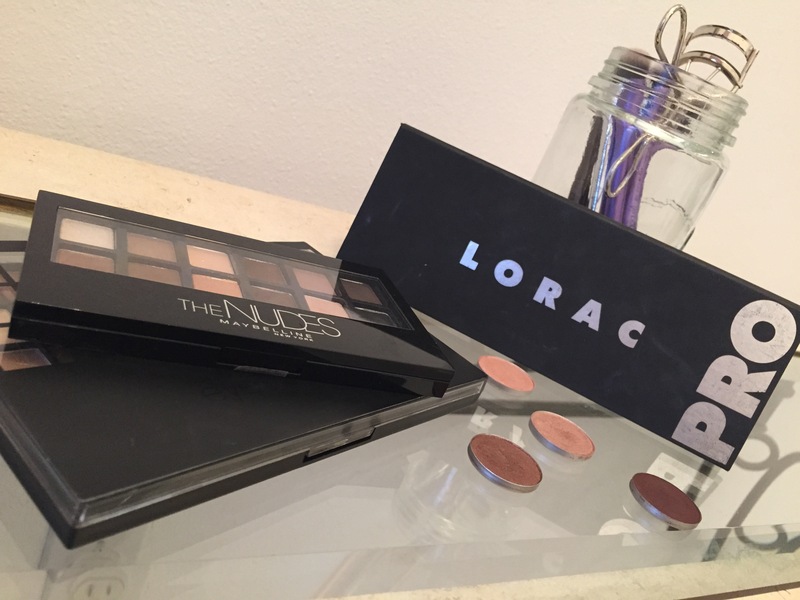 The Lorac Pro Palette has made quite a name for itself within the past year. Lorac has done an amazing job setting itself apart from all of the other neutral palettes out there. In total there are 16 eyeshadow with the top row being all matte and the bottom row being all shimmer. This palette has any neutral eyeshadow lovers name righten all over it. My MAC Custom Palette has got to be one of my most used palettes. I would say that if you like both neutrals and bright colors then getting a customize palette would be perfect for you. If you want me to go more in depth with all the shades in my mac palette just let me know in a comment. Now going into my favorite drugstore palettes. Maybelline came out with The Nudes a couple of months ago and I have gotten so much use out of it. Perfect for throwing into your makeup bag for on the go use. This palette is bittersweet because the color that I have Natural they are no longer making. But trust me if you see that palette you need it in your life. It has a mixture of matte and shimmer colors as well as light and dark colors. Perfect if your just starting out in makeup. 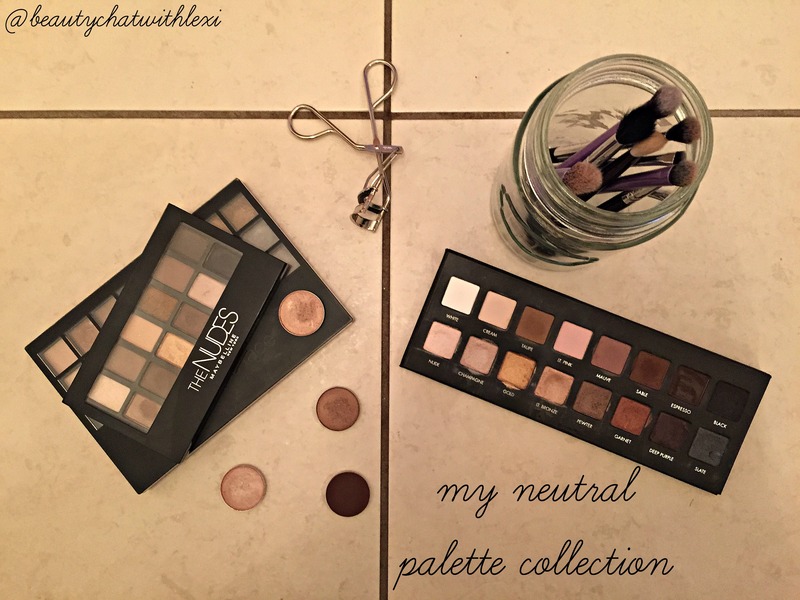 I hope you guys enjoyed taking a peek into My Neutral Palette Collection and if I’m missing out on your favorite neutral palette let me know which one in a comment below. Thank you so much for reading this and I will talk to you soon! !